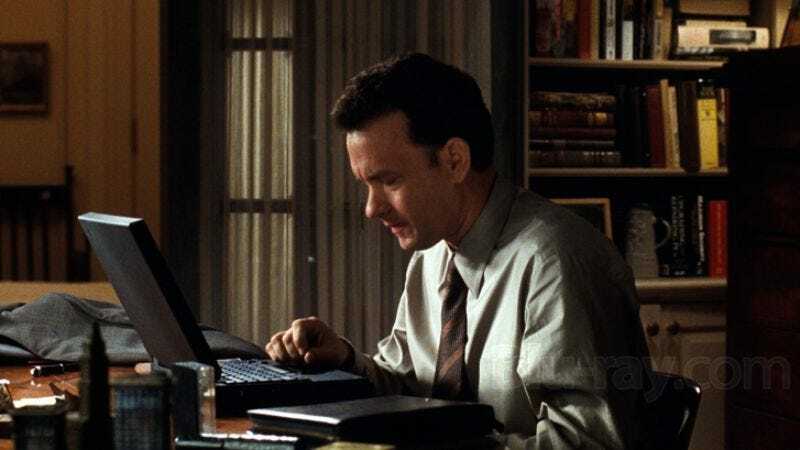 Pretty much everybody who was alive in 1998 fondly recalls You’ve Got Mail, both the email notification noise and the Nora Ephron film starring Tom Hanks and Meg Ryan. We’re specifically talking about the movie, though, which updated the classic star-crossed romance of The Shop Around The Corner for the go-go ‘90s by introducing then-modern concepts like “AOL” and “unstoppable corporate bookstore chains”—neither of which are really around anymore. One thing that is still around these days, though, is the official You’ve Got Mail website, which is just as much of a relic now as Meg Ryan’s beloved, independent book store was in the movie. The website, which is tucked away at youvegotmail.warnerbros.com, has an animated introduction, information about the main characters, and an array of downloadable screensavers, desktop patterns, and webcards. You can even download AOL Instant Messenger and use it to chat with your own mysterious love interest like in the movie—assuming you can find anyone still using it. The “Don’t You Love New York In The Fall?” category is especially cool, since it features this great bit about New York almost being like its own character in the movie. Imagine that! You can also read through the emails that Hanks and Ryan send to each other, with even the You’ve Got Mail website acknowledging that it’s a pretty “nosy” thing to do. However, the most exciting parts of youvegotmail.warnerbros.com (at least for people who enjoy outdated audio formats) are the many links to Real Player audio files. Can you run Real Player audio files on your computer? There’s only one way to find out, and it involves going to youvegotmail.warnerbros.com.